Two Ocean City beachgoers came to the rescue of two other OC swimmers in trouble. 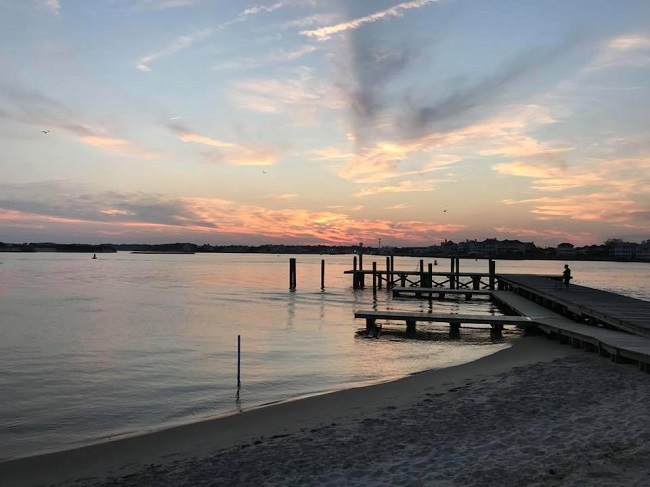 With the warm weather still lingering, it's not a surprise that people still make trips to Ocean City to soak up those last rays of summer and relaxation. But we all that the ocean is an unpredictable beast sometimes -- and that's exactly what two OC swimmers discovered last week when they were rescued by two men. According to The Dispatch, the Ocean City Fire Department has actually been called in to rescue swimmers all last week due to the nice weather and the end of the Ocean City's Beach Patrol's coverage season. So, when they got a call last Monday morning about two swimmers on 2nd Street that were caught in a strong rip current, first responders were sent out to the site. Imagine their surprise when they found that two civilians had beat them to the scene and rescued the swimmers! The two rescuers, Glenn Miller and Frank Panetta, were having a beach day themselves (because, come on, who doesn't love a good beach day) when they heard the swimmers in the ocean calling for help. They were able to coach the swimmers to swim parallel to the shore, then they jumped in themselves. And with the help of boogie boards and great swimming skills, they brought the two people to shore and to safety! What do you think of the two OC swimmers' rescue? Do you have any stories like the one above? Leave us a comment below! Ocean City will be the setting for a movie next fall. Here's how you can apply to be an extra!